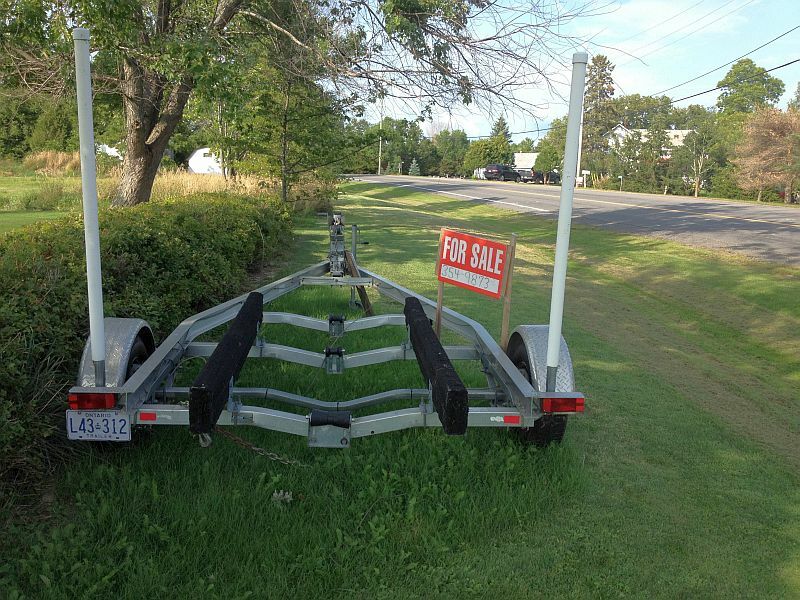 New Price on beautiful W.J. 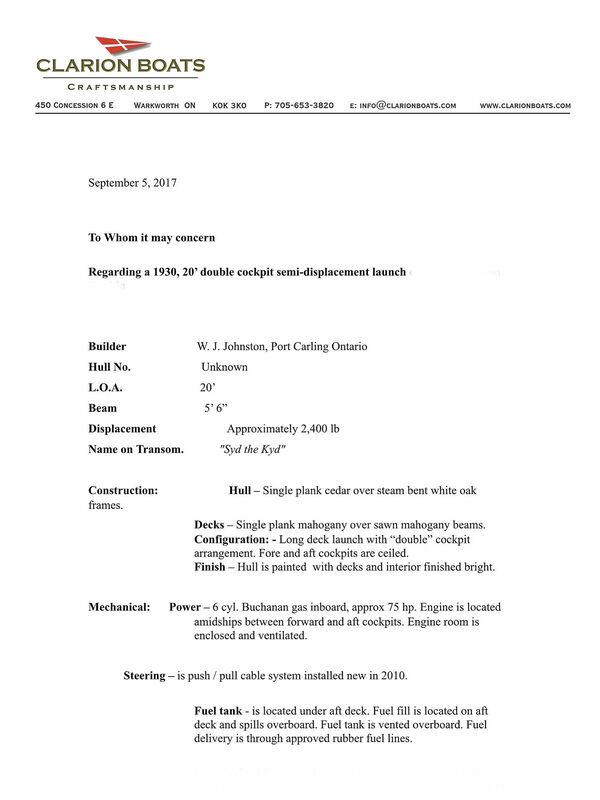 Johnson launch. We have been advised by the owner to adjust the price on this stunning Johnson long deck launch. Original price: $45,000 USD. New price (Jan, 2019) $35,000 USD. Please see the full description,, additional photos, a brief video and contact link below. Billy Johnson , of Disappearing propeller boat fame, started to build boats again in 1929/30 in Port Carling after his Disappearing Propeller Boat Company went bankrupt in 1924. 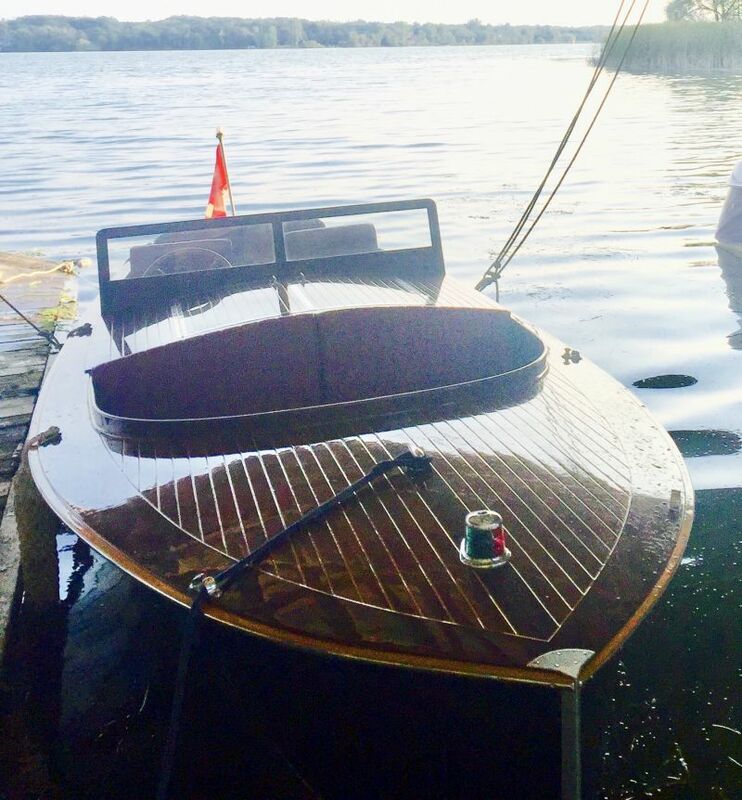 His new company , incorporated in 1930 or 1931 , was named Port Carling Boat Works and began building the famous lines of “Seabird” boats until the 1960’s. 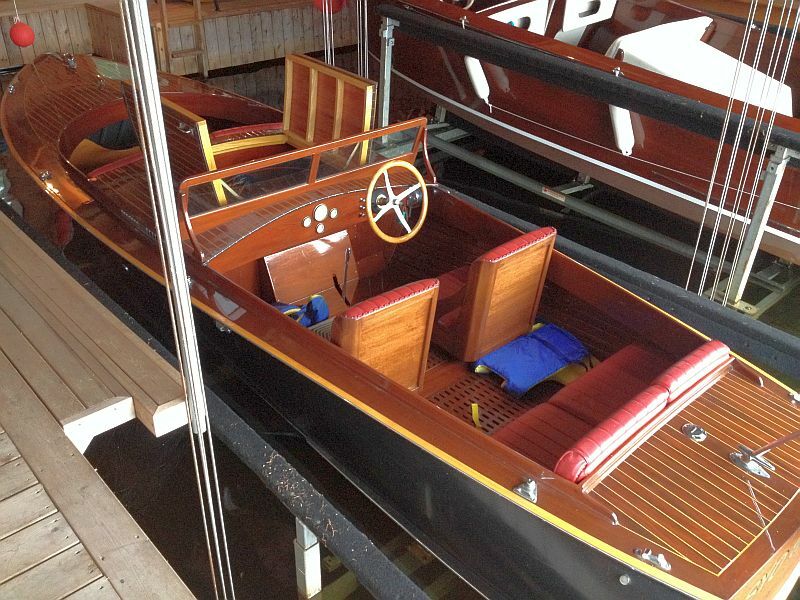 This boat offered for sale pre-dates the Seabirds and is one of very few built under the Billy Johnson name. 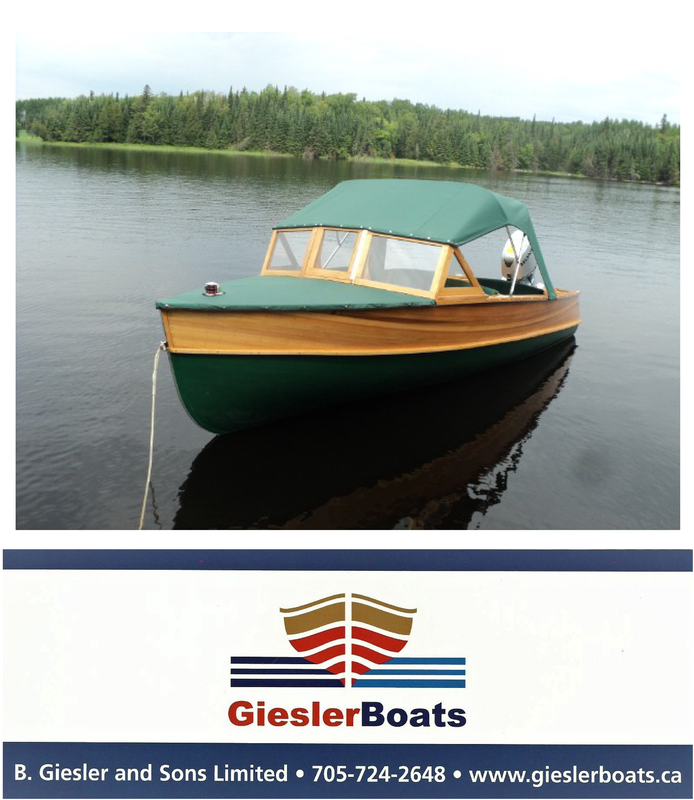 A very rare and historic Canadian boat, completely professionally restored by Clarion Boats in 2009/10. This long deck launch offers a double cockpit configuration and a semi displacement hull. 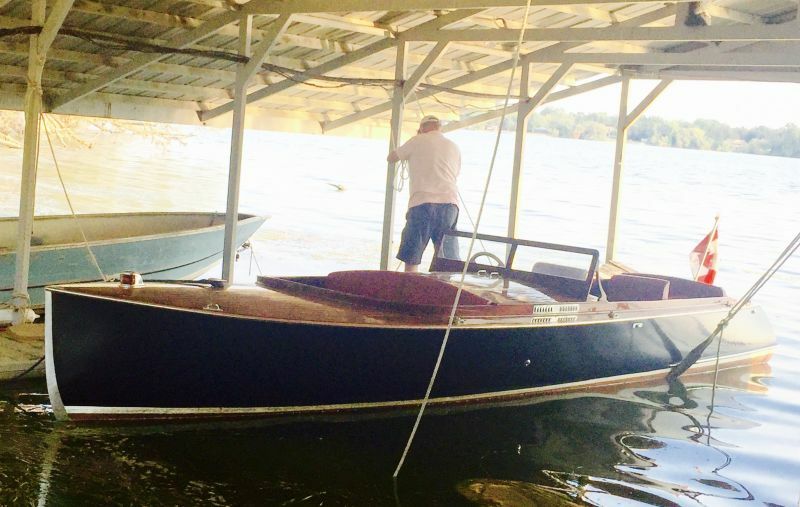 The weight of the boat is about 2400 pounds. 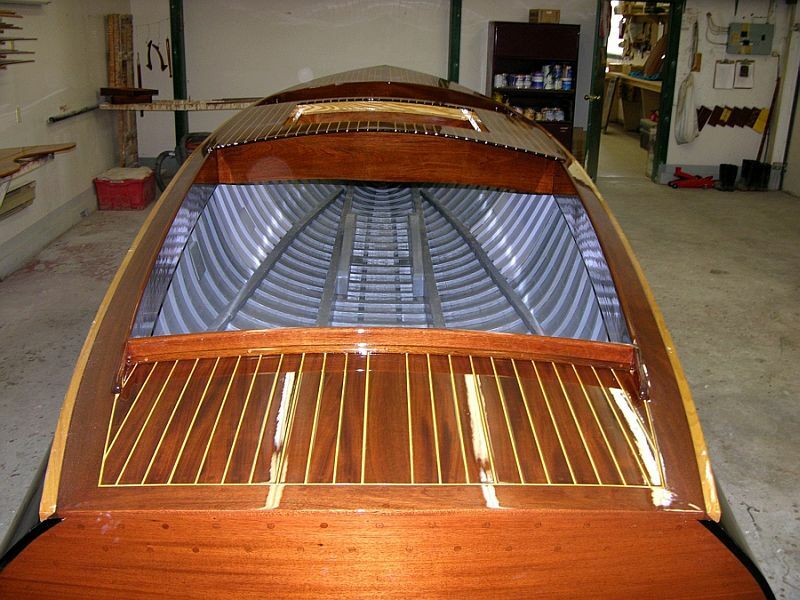 The hull is cedar plank construction on steam bent white oak frames. 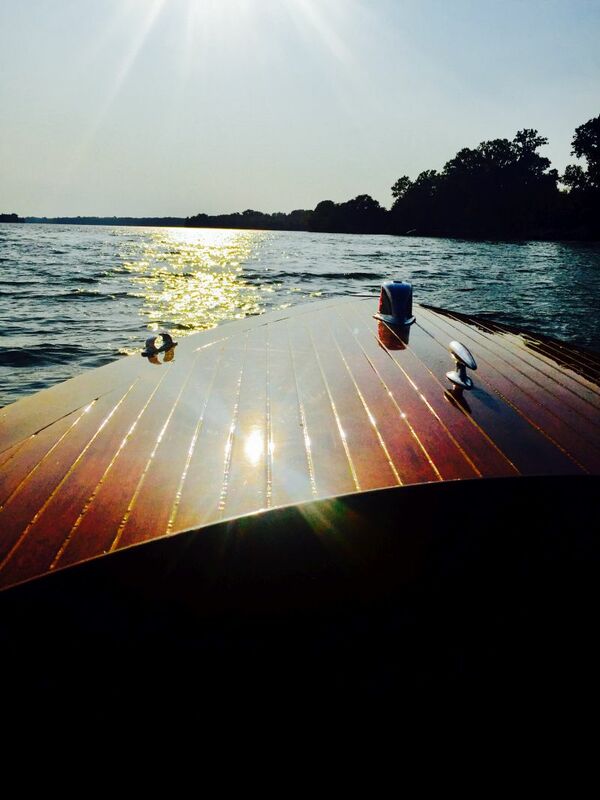 The deck is single plank mahogany over sawn mahogany beams. 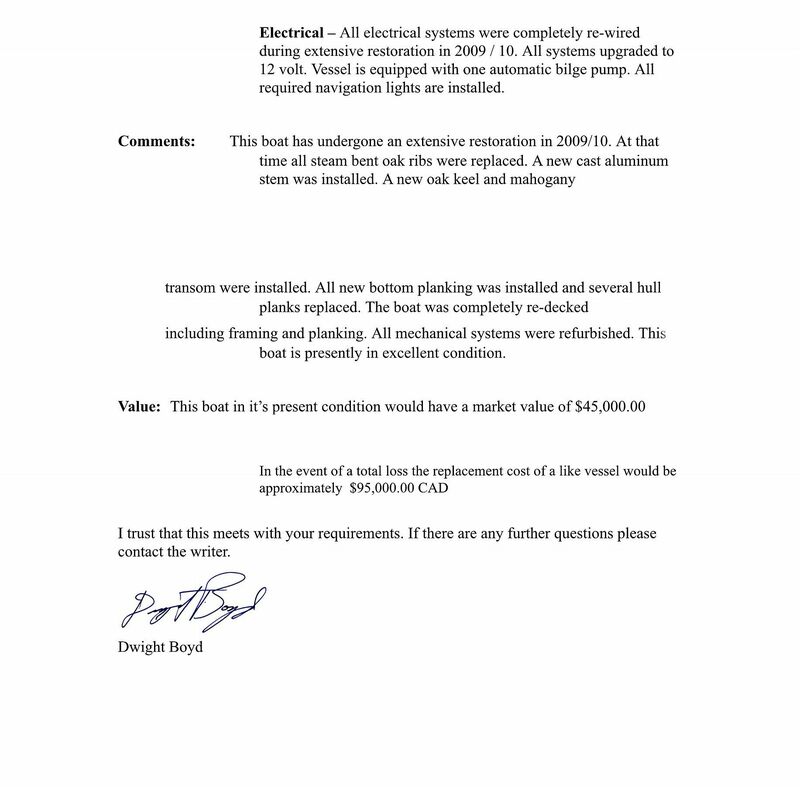 All electrical systems were completely rewired during an extensive restoration in 2009/2010. The system was upgraded to 12 volts. 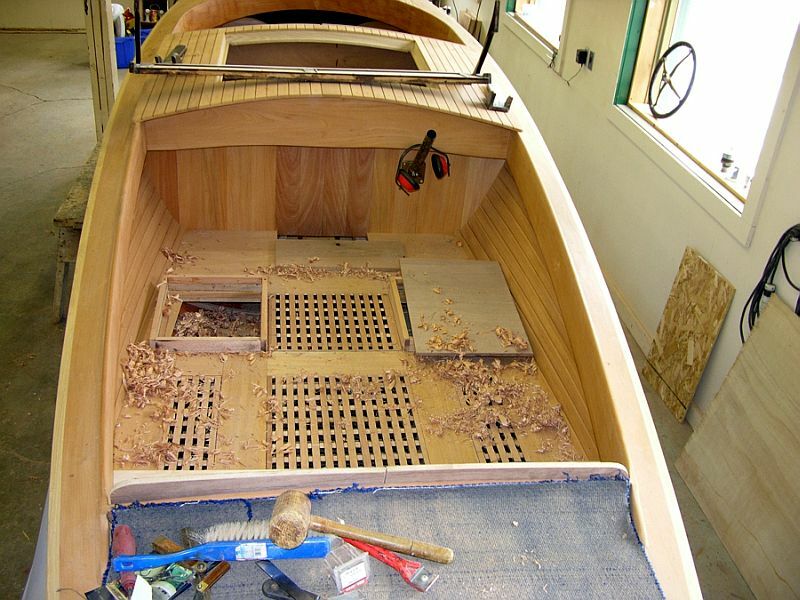 During the restoration, all the oak ribs were replaced, and a new aluminum stem, transom and oak keel were installed. The Johnson features all new bottom planking. 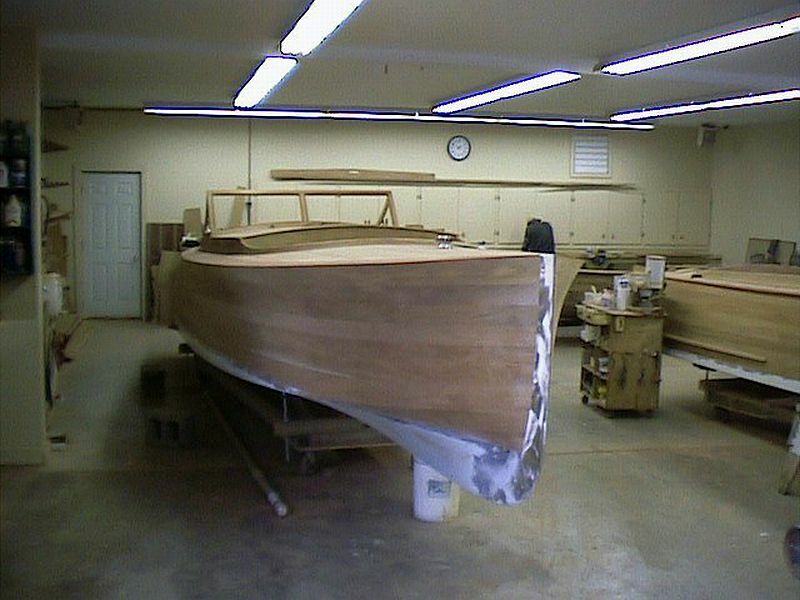 The boat was completely re-decked, both frames and planking. 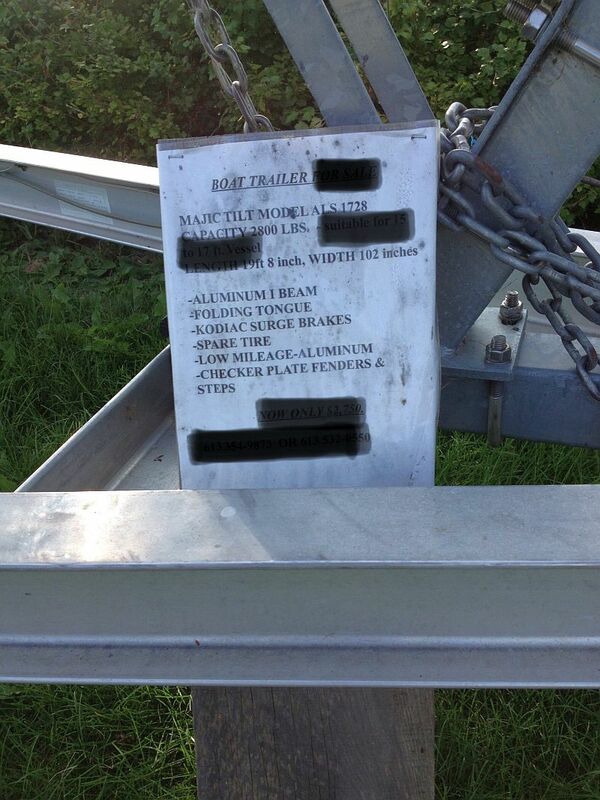 All the mechanical systems were refurbished The launch is currently in excellent condition. The replacement cost of the Johnson is estimated at $95,000 CAD. The launch comes complete with a low hours single axle trailer with folding tongue, surge brakes, guide bars, fenders and seps. Also included in the sale are four life jackets, bilge pump and anchor. ← New “Canoe kids” on the block in Muskoka!